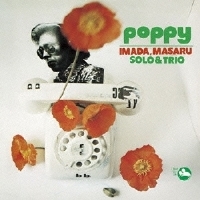 Poppy was pianist Masaru Imada's second album for the Three Blind Mice label. Imada brought the idea of playing slow ballads by himself to the TBM producer Takeshi Fujii, who greenlit the project but requested Imada to perform his original compositions with his current trio. The result was this album. Side A consists of four solo piano performances of jazz standards, and the trio takes on Imada's three originals on Side B. Produced by Takeshi Fujii. Recorded at Aoi Studio in Tokyo on January 25 and 26, 1973. Blu-spec CD is compatible with all regular CD players. Paper sleeve special limited edition.